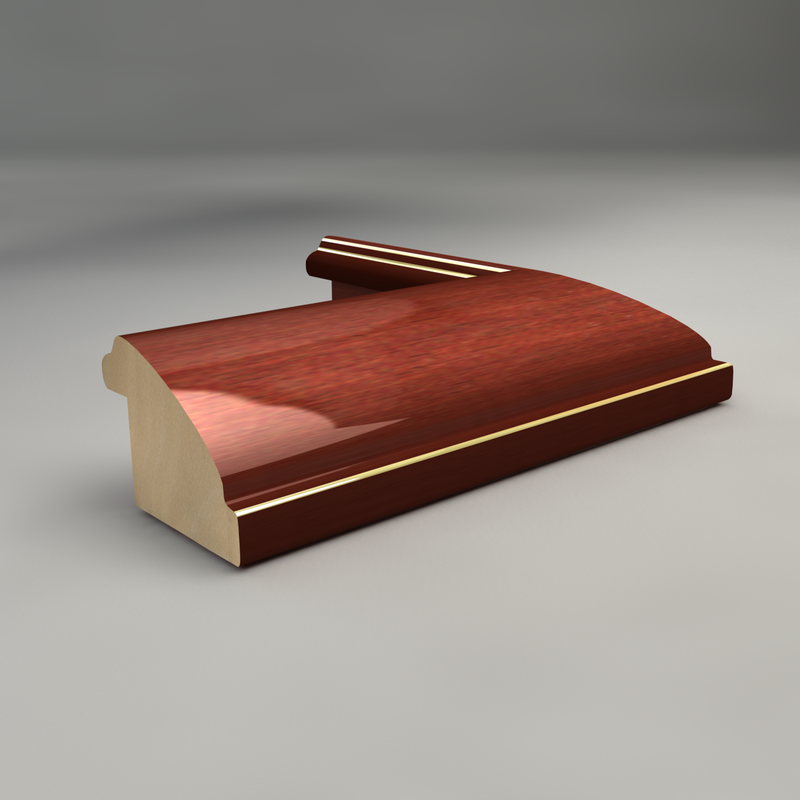 Highly polished rosewood timber frame with one gold trim line on the outside edge and two on the inside edge adjacent to the glass. 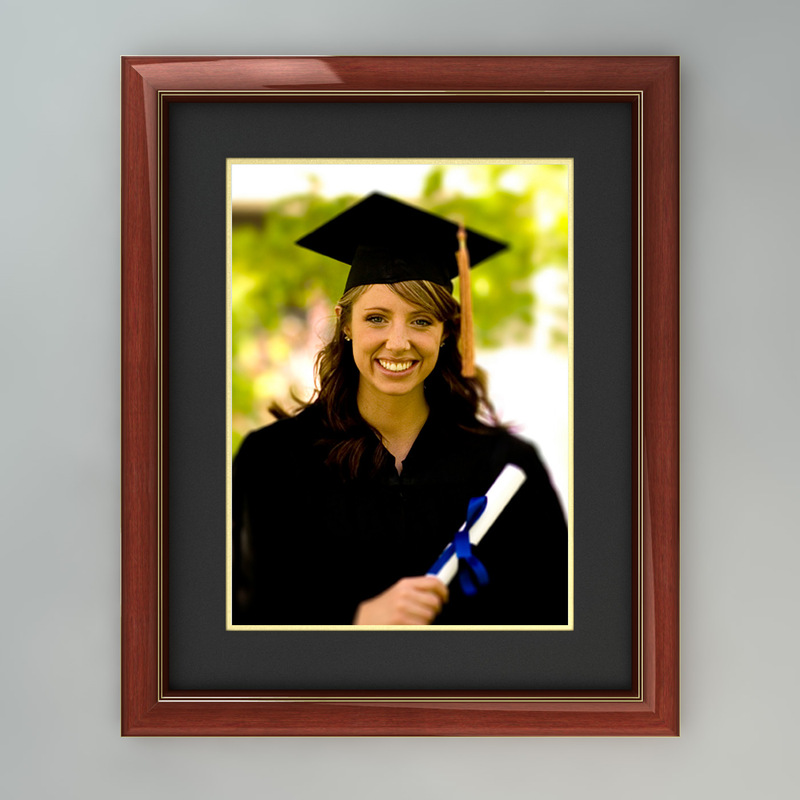 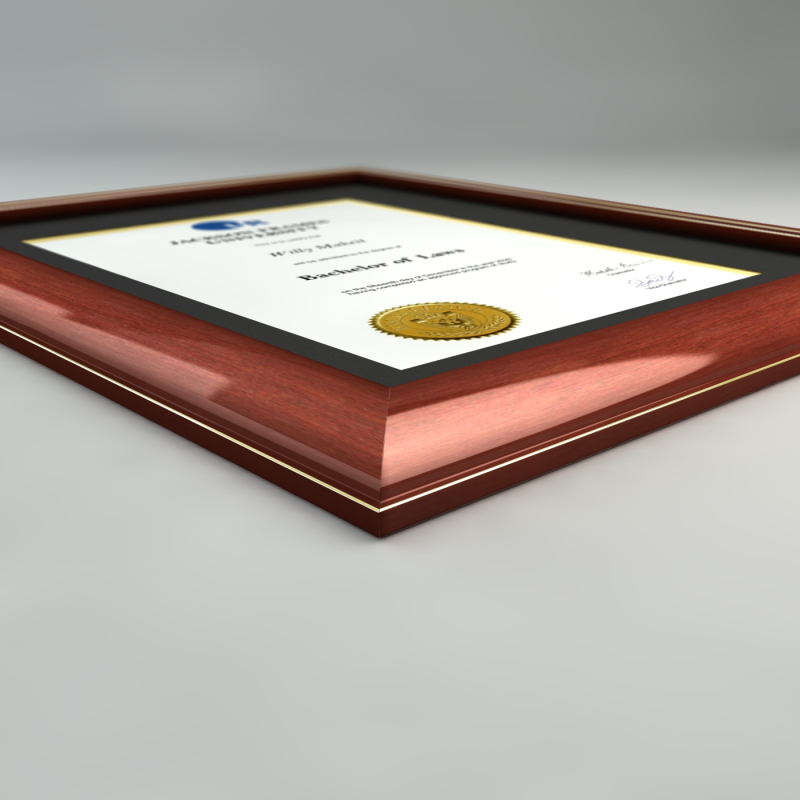 Made to your university degrees and your photo dimensions with mat board options. 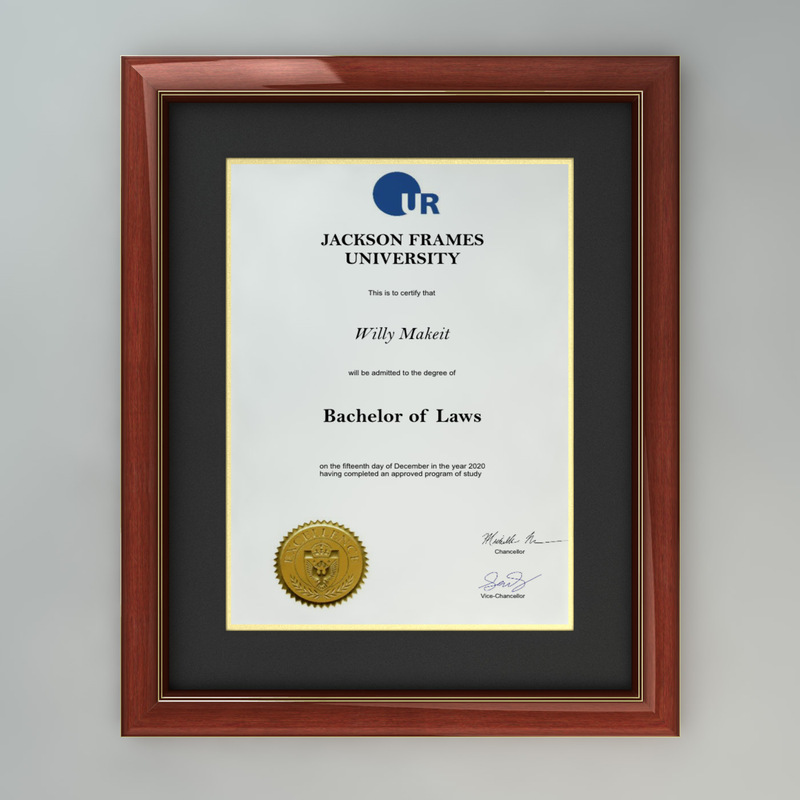 This is one of our best selling frames.